Vincent Lacoste lives and works in the countryside of France in a studio performance place called Le Relais. This interview is part of Where Dance Is, a series of interviews with high level dance artists working in places not well known for dance. I live and work in the countryside village of Le Catelier in France. I have a house big enough to host artists in order to rehearse. There’s also a studio and a garden. We are not far from the seaside and forests. It’s very intimate. How did you come to live and work in Le Catelier? I started dancing when I was very young. My parents were against me being a dancer so I studied science and mathematics instead. I was initially based in Paris, and that’s where I started working in theater. I worked as a theater director with actors and dancers on written plays, but it took a lot of energy to be able to do new work and research. After five years or so, I wanted to have a place of my own to rehearse. I rented space in Paris and started inviting other artists to have a sort of collective way of working. It was not that easy. Other artists wanted a public to show their work, but I was looking for a deeper way of understanding. I looked at a couple of places in the countryside and eventually I decided to buy a house. That’s how it started. It was 2001. At the very beginning I didn’t think I would live in Le Catelier. I thought I would stay in Paris and visit to work, but I realized that was impossible. It took two years to properly build the house and studio before we started having people come from Paris and abroad to work with us. Things really started in 2003. We have something like 12 to 14 groups and 70 artists a year come for anything from a couple of weeks to a couple of months. Basically it’s busy all the time now. Can you describe your current dance practice? I sometimes dance myself but I wouldn’t call myself a dancer. I rehearse a lot and am engaged physically, but I’m rarely on the stage myself. Usually I work as a director. In this place we have a very large number of workshops with the people not far from us who live in the countryside. We work a lot with students, disabled people, elderly people in institutions and young people living in foster homes. Sometimes the artists who come here to rehearse work with these other communities too. I myself am very active in this way as well. 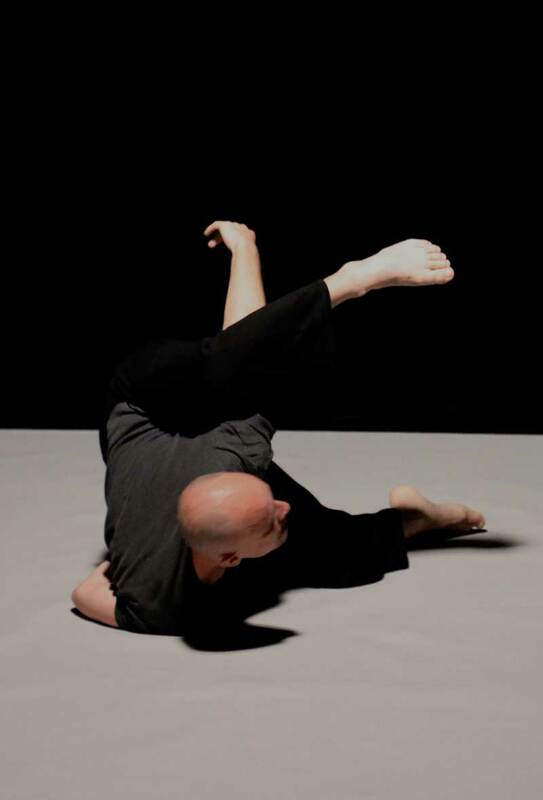 Recently, we worked with choreographers connected with the National Dance Center Le Phare, a state-supported institution based Le Havre, a large city about an hour away from here. They came, rehearsed and performed because they enjoyed that we’re based in the countryside. In turn, the choreographers met very different people than the people who usually go to dance performances where they’re from. How would you describe the dance scene around Le Catelier? There’s one dance center that is very interesting, not far from Le Relais, they work in a similar way as we do. The choreographer is called Dominique Boivin and the company is called Beau Geste (Beautiful Move). They have a beautiful studio and lots of dancing comes out of there. It operates under the same principle as here. They’re great people. What do you perceive are some benefits to working within dance in a smaller community? The benefit is basically the fact that people are very involved. They stay here and work hard because they’re away from their daily lives. Usually they do great work because they’re only thinking of their art. The shows are deeper. People have time to think and discuss. They even have time to waste, which is important. It’s good not to always be efficient. You can try something, go off and think about it and then come back later and do it again. That kind of process is really possible here. Once a month we organize public sessions where artists present their work. It’s possible for about 40-45 audience members to come and see the performance. Sometimes people spend a lot of time just driving to get here, so we organize a dinner around it to keep people here longer and invite people to take time to reflect and discuss with the artists what they saw, what they enjoyed and what they found difficult. This way everyone gets involved in what’s happening. People know they’re not going to see an efficient beautiful show like at a major venue in a big city; instead they’re going to get involved in the process. People might be surprised and relate with someone they might not normally relate with. It’s a kind of adventure to meet people and watch the performance. It’s very fresh. Here people know they’re going to discover something. When an audience doesn’t like something, we can facilitate a discussion so people understand why the choreographer is trying to do what they’re doing. So the benefits are time, discovery, discussion and debate. What do you perceive are some drawbacks to working within dance in a smaller community? The drawback of course is we’re far from a city so it’s not easy to have professionals come around. It’s not easy to know the performances created here will be presented in other places. Groups who come need to know it’s a place for rehearsing, trying something new and meeting people. At the same time, it’s not enough to guarantee a show created here will have a long life. What do you perceive your influence has been on the community? There have been many changes. Even though it’s not always easy for people in the countryside who are far from a certain culture to relate, at the same time it’s quite easy to start working with children first, and then start meeting other people. And everyone here in the community is happy with us. I can see the changes because I can see the local schools are open to working with artists and people coming from abroad now. They have a larger capacity to relate. People here start to understand they are not stuck where they are. If you want to go somewhere else, buy a ticket. It’s a question of feeling free. Part of culture is about being aware of what’s going on elsewhere. With all the people coming and going, the locals have started to develop this way of thinking. We’ve also developed a festival with other villages. We organized events both here and in the surrounding areas. Again, people really enjoy it. The organization is not easy. It’s very difficult for me to present my dance because the audiences often prefer more classical dance, but we try anyway. It’s increasingly possible, it’s new, and people are generally happy with what we’re doing in the end. Dance is everywhere. Sometimes there are benefits and drawbacks, but you can create something really special by not being in the only places where people think dance is. Vincent Lacoste has a double education in dance and mathematics. He started classical ballet at the age of six and finally followed a science curriculum in Ecole Normale Supérieure in Paris. He completed his PhD at the same as he took classical ballet classes with Irina Grjerbina and later discovered contemporary dance. He then became involved in theatre as an independent director. He founded Le Relais in 2001, a performing arts center based in the French countryside Le Catelier – Normandy. He hoped dancers and actors would join and work together, which eventually happened at a higher stage than he initially thought. 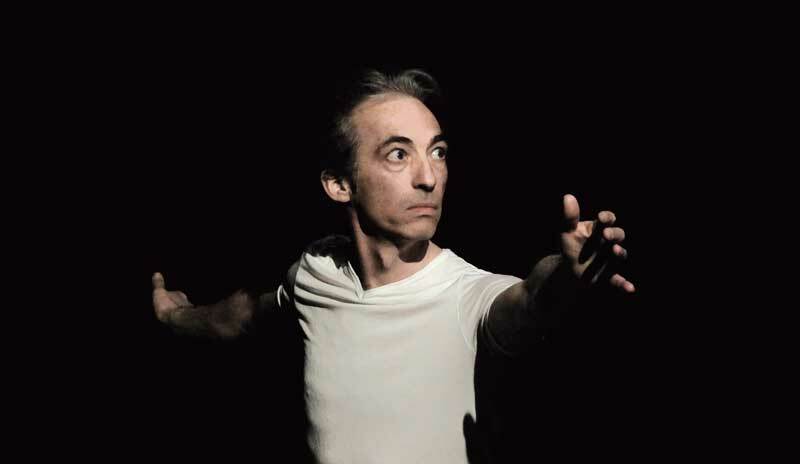 His personal work mixes written plays and dance performances, as well as poetry. He enjoys meeting and working with artists coming from different horizons and practices. He is mostly interested in artists willing to invent a new and open vision of the world, with conceptual and intellectual ambition. More information on Le Relais, visit www.le-relais-theatre.fr or for info on Vincent’s personal work, visit www.groupexpir.fr.